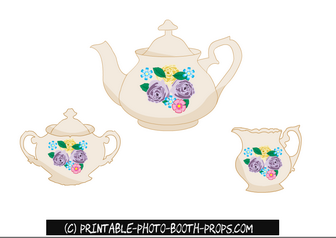 You can print these props on a heavy card stock paper or any printing paper. 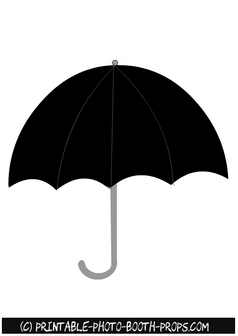 Please vist the main page of our website to read the detailed instructions for using these props. To save these props just click on any of the thumbnail image of your choice and then right click and save the bigger image. 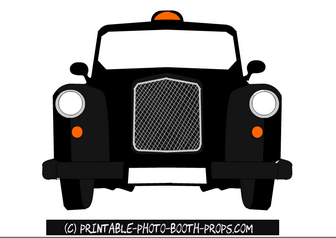 This is a free printable photo booth prop of an old London taxi. 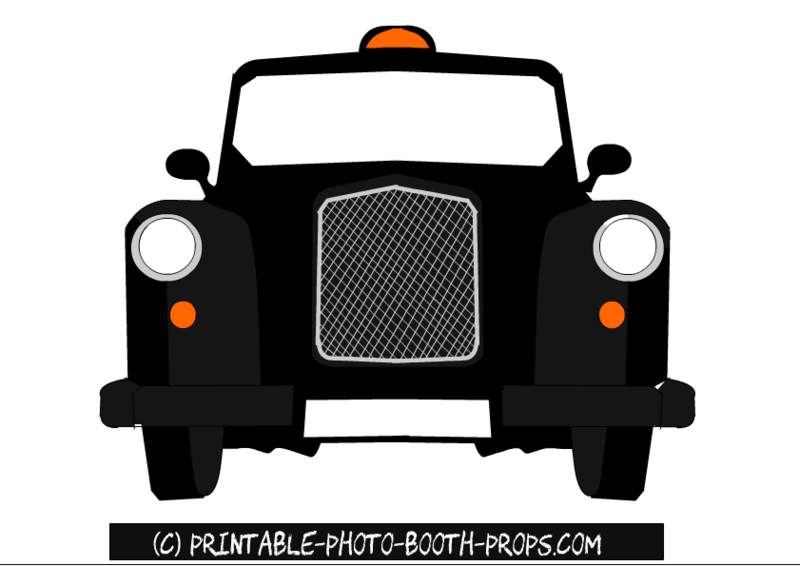 This is really easy to cut and it will add a touch of old London to your London themed photo booth. 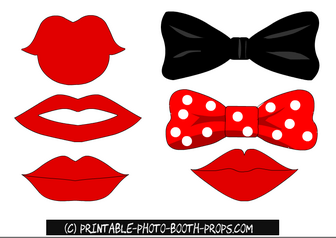 This is a page full of lips and bow ties props. To get more lips props please visit this page. This is a free printable red London Bus prop. 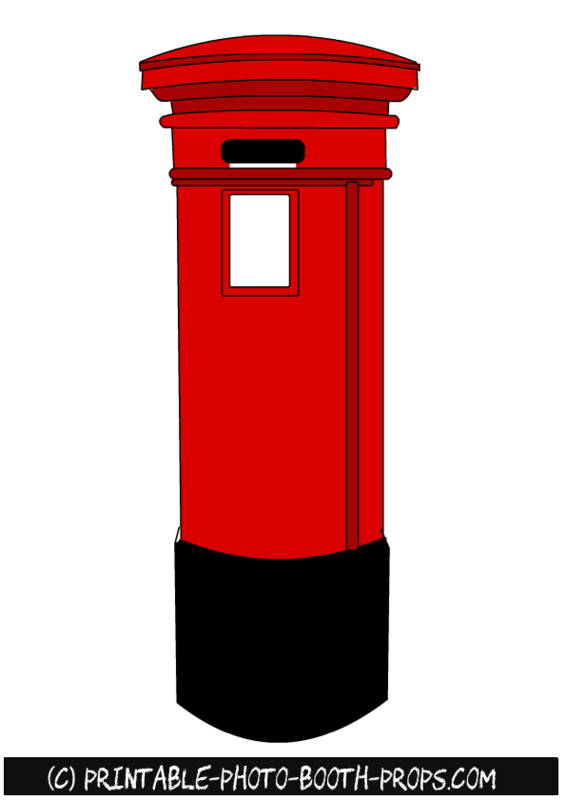 Just click on the thumbnail image of this prop and then right click and save the bigger image. 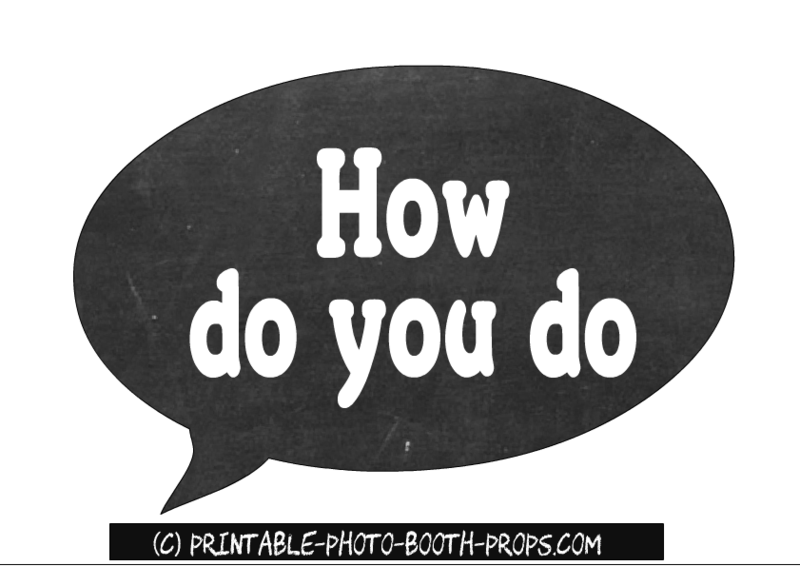 You can print this prop on a big paper and can use it as a backdrop for your photo booth. 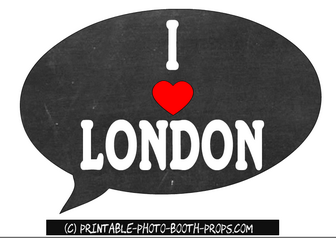 This is a free printable I heart London speech bubble prop in chalk board style. 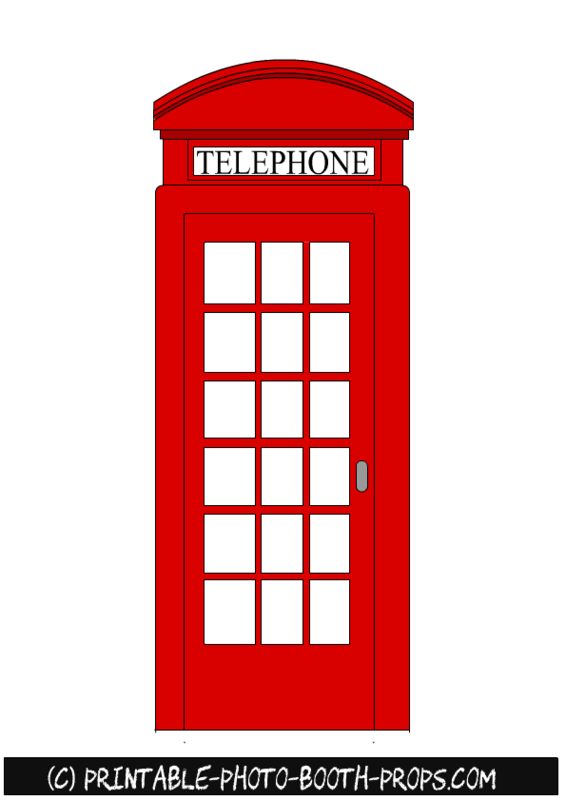 This prop is perfect for a London themed photo booth. This is a free printable how do you do speech bubble prop in chalk board style. It is just perfect for a London or England themed party. 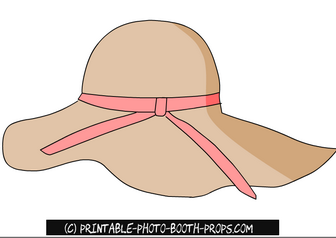 This is a free printable prop of a lady's hat. 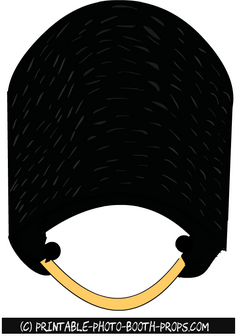 To download more hat props visit this page. This is a free solider hat prop printable. 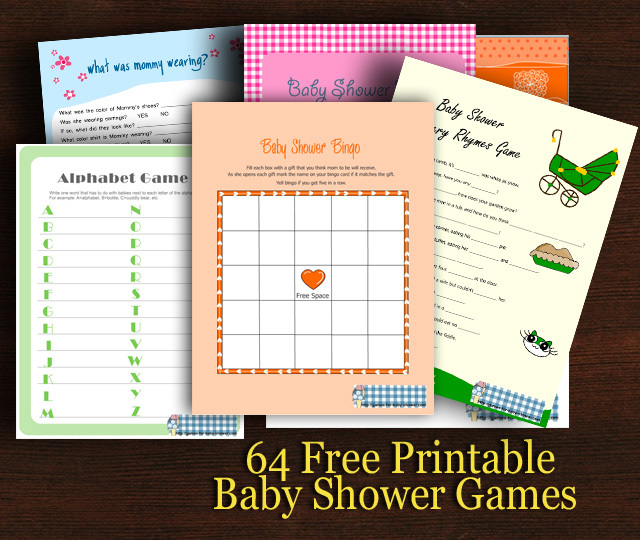 Print it as big as you can and have fun on your party. 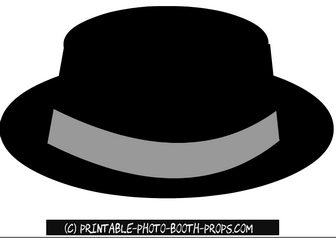 This is a free printable poor boy's hat photo booth prop. To download more hat props please visit this page. 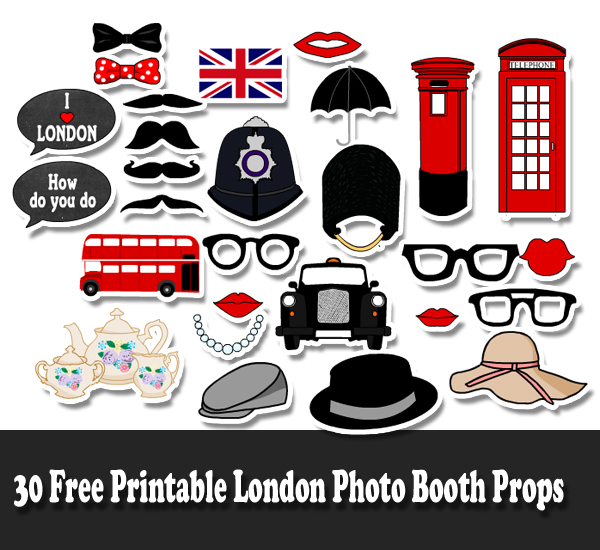 Here are three free printable black glasses props for London party's photo booth. 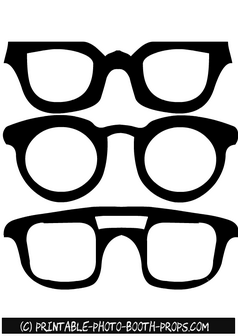 You can use these props as templates to cut the glasses out of a glitter paper or felt sheet. You can print these glasses on a heavy card stock and decorate with different cute things like glitter, beads and stickers. A photo booth is not fun without hat props. Please click on the thumbnail image of this gent's hat prop and then right click and save the bigger image. 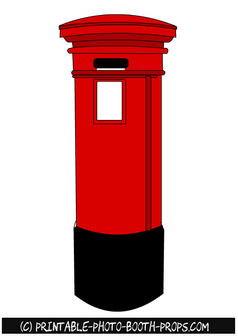 London Party Photo Booth is incomplete without a red letter box prop. 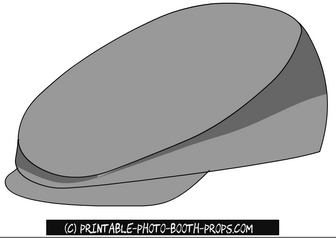 Click on the thumbnail image of this prop and then right click and save the bigger printable image. 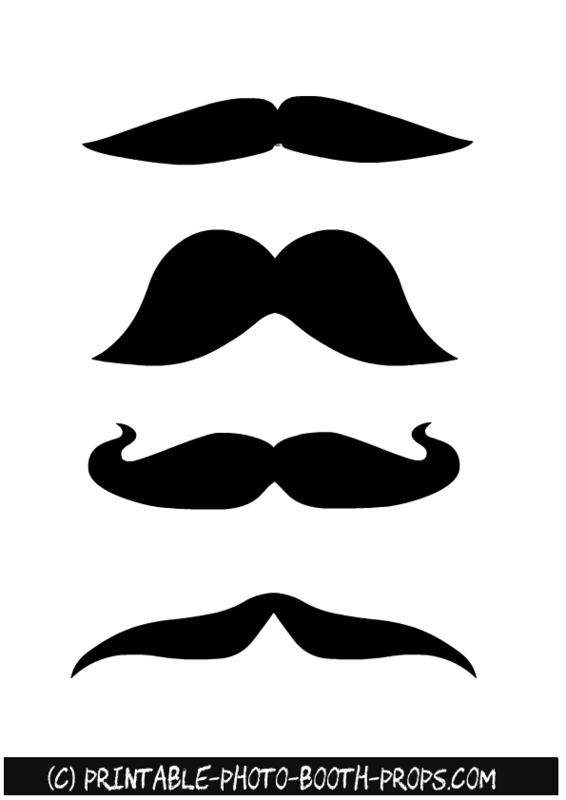 This is a frree printable's	page	with	four	moustaches	props. 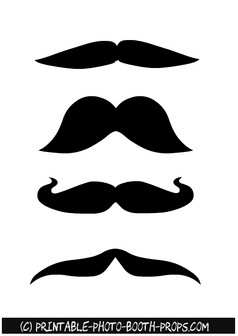 To	get	more moustaches photo booth props please visit this page. 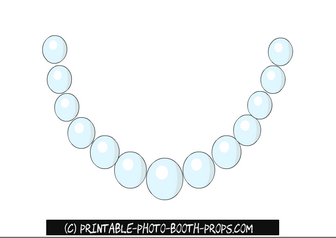 This is a free printable photo booth prop of a string of pearls. 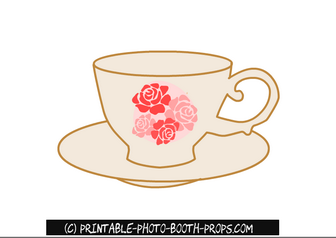 This is a fun and charming prop for any party. 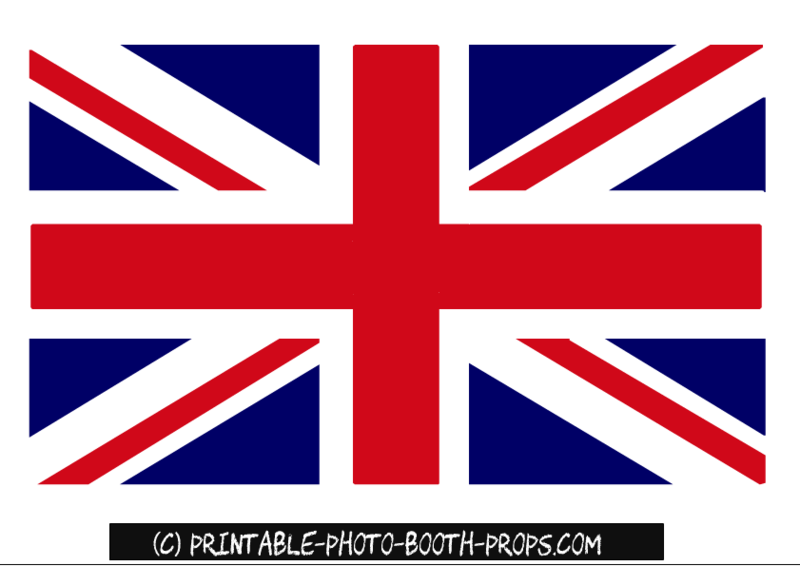 This is a free printable Union Jack photo booth prop that you can use in your party decorations and also as a back drop of your London Party's Photo Booth. This is a free printable photo booth prop of a black umbrella. Print it big and small and hang it on strings in your London themed party. 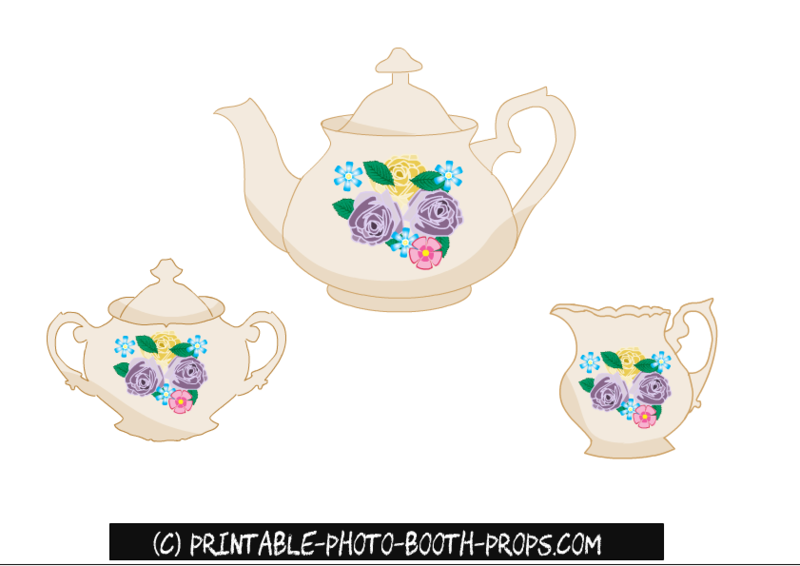 This is a free printable tea set prop with a tea pot, sugar pot and milk pot. 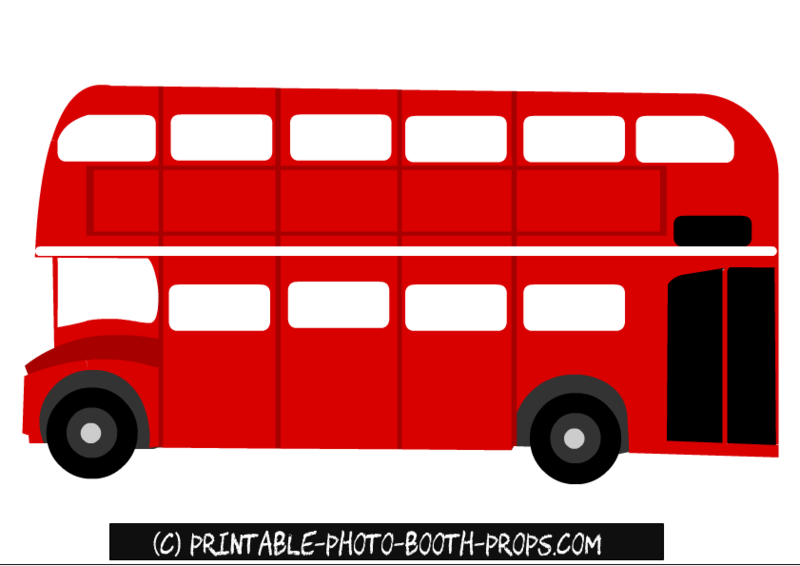 These props are perfect for a London themed party. 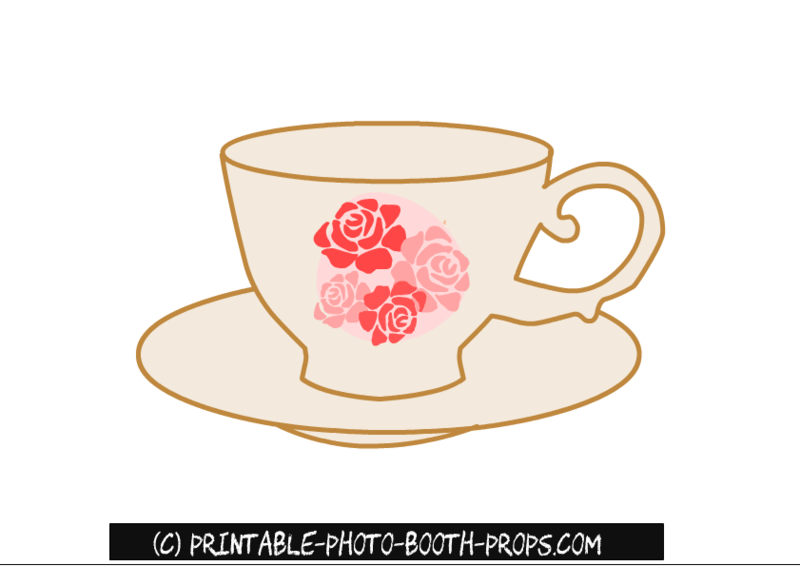 This is a super cute tea cup prop that is just perfect for a London themed tea party. 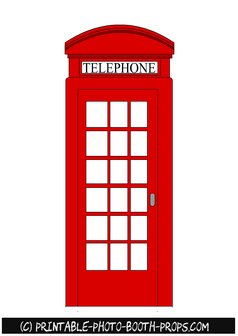 This is a free printable London themed telephone booth prop. 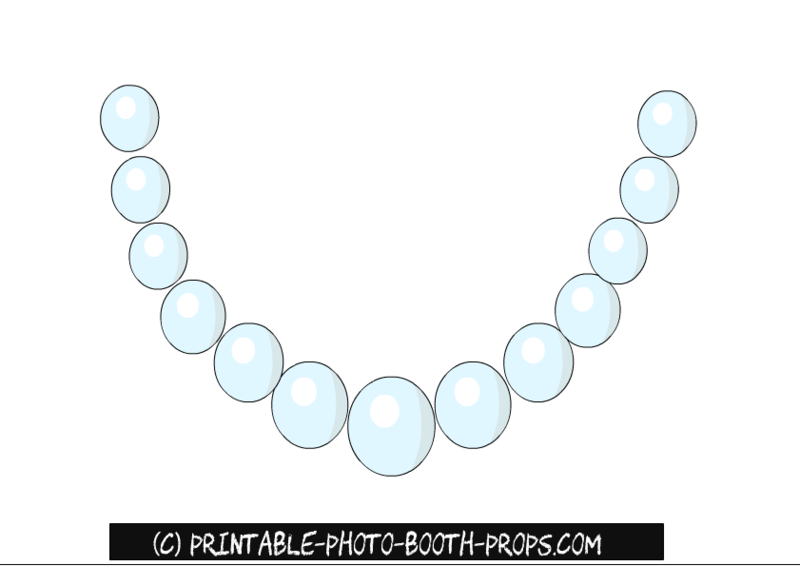 Please pin the thumbnail images of these props on Pinterest and share the links to this post on social media plartforms like facebook.